carved, to the naturally flaring form, in high relief with Shoulao seated on a flying crane beneath the overhanging lip, a recumbent deer beneath him, surrounded to either side by the eight immortals with their various attributes, standing staggered on pierced rockwork before high mountainous landscapes, with openwork decoration to the opposite sloping side and further shaped rockwork and lingzhi sprays intertwined with gnarled pine branches, the interior rim with a solitary peach branch bearing two ripe fruits -- 6 5/8in. (6.8cm.) 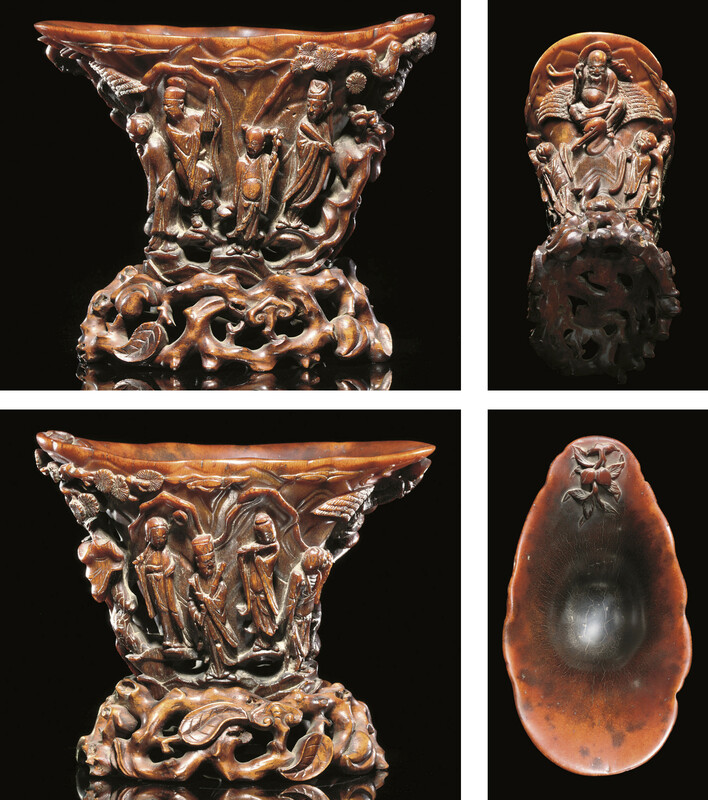 wide, carved wood stand.